Ah, the tooth fairy… helping kids tolerate, and even look forward to, the loss of baby teeth for generations! We love talking to kids about what the tiny, winged fairy brought them each time they lose a tooth. You know the custom: when a tooth falls out, a child excitedly places it under his or her pillow, and the next day, cash or a treat is magically found in its place! Turns out, although the tooth fairy is a common fixture in the United States and other Western countries, there are some pretty fun traditions around the world — some with a variation of the tooth-stealing gifter and others with entirely unique customs. We hope you’ll get as much of a kick out of tooth fairy traditions across the globe as we did. Some of them may surprise you! In Spain and other Hispanic-speaking countries like Peru, Mexico, and Chile, that little fairy takes the form of a mouse! El Ratoncito Pérez or Ratón Pérez operates much like the tooth fairy, stopping by to grab a baby tooth that’s been placed under a pillow and replacing it with a treat or coins. In some countries, kids put their teeth in a glass of water for a thirsty Perez, who takes the tooth, drinks the water and leaves a gift behind. Perez is a much-loved guy: there’s even a children’s museum dedicated to him in Madrid! In similar fashion to the Spanish tradition, French children are also visited by a mouse, but her name is La Bonne Petite Souris (“The Good Little Mouse”). Thought to be adapted from a classic French story from the 17th century in which la petite souris helps get rid of an evil king, the mouse continues her good deeds today by replacing lost teeth with coins or treats. Egyptian children follow suite with many other middle-eastern countries: they throw baby teeth into the air! Wrapped in a tissue, kids toss their teeth up towards the sky. This is apparently in the hopes that the sun will give back a different tooth and a healthy smile! Kids also partake in the teeth-throwing in some Asian countries. The tooth doesn’t always go up, though: if the lost tooth comes from the upper jaw, it gets thrown on the roof. And, you guessed it — if it comes from the lower jaw, it’s thrown onto the floor! As the baby teeth go flying, children ask for their teeth to be replaced with the tooth of a mouse (which grow continuously.) Pretty understandable! In Mongolia, baby teeth are left to the dogs. It’s customary to wrap the lost teeth in meat and feed them to the household pet! The belief is that, in doing this, adult teeth will be just as strong as the teeth of the bone-eating dog. No dog? No problem! Children bury their teeth in the ground, next to a tree, in the hopes that adult teeth will have strong roots. No matter the country, these fun customs are in place to ease what can sometimes be a traumatic event for little ones. 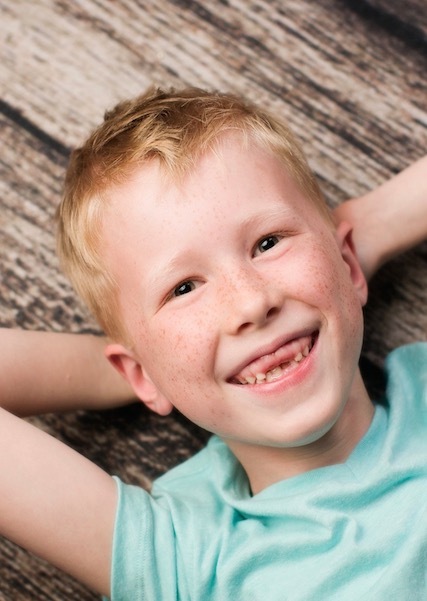 Surrounding the discomfort children can often feel about losing a tooth with positive experiences is something we can always get behind!